Thinking about the meeeeja and how it is dumbed down and News Managed, when one hears of the 200th. death in the farcical war in Afghanistan, where of the very many provinces Britain is throwing away the lives of our young lads and £Billions we can not afford in an unwinnable and adventurous political farce badly managed by the politicians with Generals without idea or principle merely personal ambition and a murderously incompetent Ministry of Defeat squandering OUR money and the lives of OUR young men seemingly in the process of buying themselves careers with the very arms suppliers they are negotiating conmtracts with! Perhaps MoD is more accurately Ministry of Death – sadly our troops and to no meaningful gain! Helmand is a tiny part of Afghanistan – without mineral resource, major city, administarative power or any other consequence being largely a stone desert some 600k north to south and 200k east to west! Just a tiny little itzzy bitzzy corner of the troubled Islamic state. 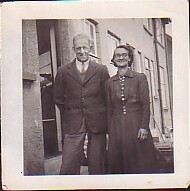 I the autumn of 1914 Jim Watkins left llewnipia to make the world a safer place for his son Kenneth Lorraine to grow up in – he promised his wife Daisy he would be back before Christmas and he joined what The Kaiser called ‘that contemptible little army’ and found himself digging in in rain in Flanders field 8 days later! In 1919 after the 2 Sommes, Ypres, Marne, Paschendale and so many more horrors where again and again he found himself the last man standing – as an Old Contemptible my Grandfather could not work out why he was still in The British Army marching through Afghanisatan being harried on all sides day and night by the indigenous peoples – particularly the women who tried to steal their weapons by infiltrating the lines at night! He was little the wiser as they marched up to the North West Frontier which they held for several months with an issue of 5 rounds each for their 303 Lee Enfields – a full frontal attack would have been lost but they fared little better with the constant threat of sniper fire single shots from an echoing valley with no sign of enemy! The enemy moved singly into position in the rock strewn wilderness of cliffs and ledges and through the heat of the day did not move and just before sunset would fire one or two rounds withdrawing under cover of the rapidly approaching night! Three generations on and almost a Century later why are my family still wondering what our boys are doing in Afghanistan – their mission now seems as badly led, as ill informed and as ill equipped as in 1919! the enemy, and just as important. Heaven forefend – was it not always so? Well I remember sitting in Mil. Hist. lectures at Sandhurst and elewhere listening to the likes of Chandler, Westlake and their ilk. There was the instance of media management when Chinese Gordon was seen as far too popular with the peoples. Something of a national folk hero. Such that not only could he, but he did challenge the politicians. In terms of media management of their day let us remembert he was sent with an expeditionary force to confront The Mahdi in Sudan. To ensure his absence from the hair of the politicians he found himself beyond reach of the meeeeja with the Government having failed to fund the passage of his force by boat up the Nile and without warning one morning his dhows unloaded him and his army on the banks of the Nile to walk the rest of the way!!! The politicians won that round having put him beyond earshot of the meeeeja that had raised him to what passed as Celeb status in those days. 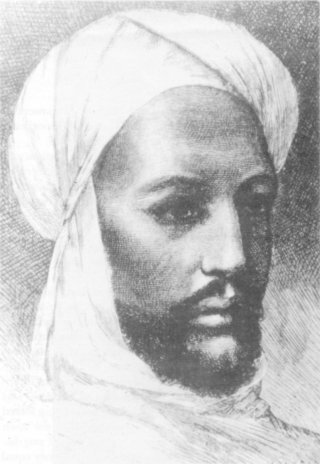 Further they ensured his requests for further troops and better supply went unheeded and when he finally confronted The Mahdi in Khartoum and he was taken prisoner by The Mahdi – for some 2 years neither the press nor the politicians admitted to hearing of the claims for ransom for his return. The politicians quite literally sold him down the river as an honest and brave leader was a threat to the venality of the politicians of the day. So very little changes – armies and brave men used and betrayed for political expediency by venal self seeking politicians, working iin cahoots with a corrupt meeeeja. Corrupted by their need for cheap and easy leaks from government to put forward as news rather than the propaganda it actually is! It is interesting to note that to this day the Government papers on the matter have NEVER been released. A VERY British Fairy Story! It was the Government that commissioned the heroic picture of Chinese Gordon being killed by a spear thrust at the top of a flight of steps, for which there is absolutely no evidence whatsoever – not even a paid witness, as with the Government buffoon who wrote of the Iraq war to provide the mythology of oil and Hussein’s brutality to endorse Blair’s lies of WMDs and 45 minute delivery – the story was provided to The Telegraph group though the so called journalist is now strutting Government propaganda in Rupert Murdoch’s stable with The Times! Had we had the internet in the days of General Gordon we MIGHT have heard the truth! Sadly that can not be relied upon as even with the internet the corruption and dishonesty of Lord Cullen has continued apace, as the Government safe pair of hands for a cover-up as with 26 shelf feet of evidence hidden, unlawfully, from public scrutiny to shelter establishment and government figures involved in pederasty with Thomas Hamilton. 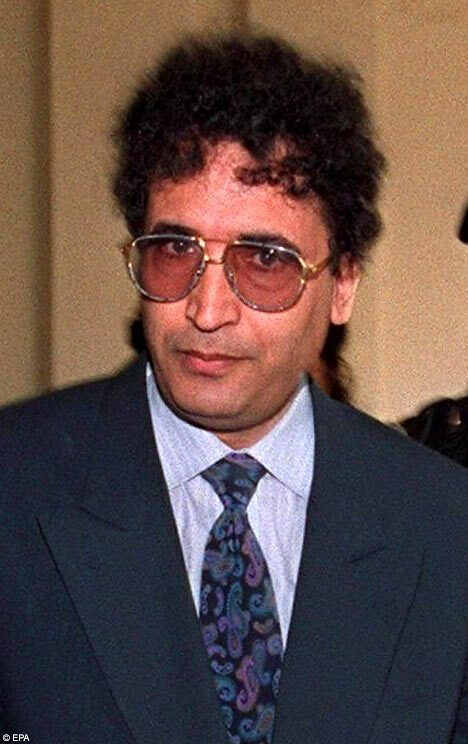 Likewise his utterly corrupt and dishonest summing up in The Lockerbie case to frame Abdelbaset Ali Mohmed Al Megrahi and cover-up the placement of the bomb by US Intel. operatives in Frankfurt to ensure the plane was downed off of the tip of Greenland in deep water, to ensure the destruction of the drugs and arms evidence being carried back to Boston on the Great Circle Route in time for Chistmes – to bring down the Bush cartel in the new year and also kill the 8 US Marine’s who carried that evidence. They had been hard at work in mostly The Lebanon and Syria tracing the structure of shipment and payment of drugs between the producers of Afghanisatan, the factory refinement in the Middle East & the shipment to the streets of America. It was merely a quirk of fate that gave rise to both a delayed takeoff and a strong headwind putting the plane over Lockerbie when the bomb went off, rather than over deep ocean in the winter waters of the north east Atlantic. May I commend to any student of the corruption of British justice the obscenity of Lord Cullen’s summing up in the case to ensure compliance with the deal cut with Murmar Qaddaffi to buy his way back into the fold by his acceptance of blame for the action of American Government Terrorists. It is 10 years since Lord Burton asked for the material on the corruption of the Thomas Hamilton Dunblane enquiry to be put in the House of Lords library and received assurances it would be – all can be followed in Hansard, however the absence of so much as a post-it note in the library speaks volumes of the corruption of Government and their complicity in this cover-up! The war for justice has always been a hard one, with risks and rewards attached, as such as Robertson MP in Dunblane, being weak links in the cover-up have to be elevated from the scene as ‘Langley’ are well aware! etc. etc. – so manipulation is not just a thing of the present lazy and ill funded meeeejia whores but they were always prostitutes to the leaks of government propaganda – be that the timing of release of the alleged 200th. British death in Afghanistan – the abandoned army of Chinese Gordon and the lies about his death or the meeeja at times lampooning the great and the good of the day. Where was it properly covered that evidence was suppressed by Cullen such that no autopsy of Thomas Hamilton was ever provided which may well have shown that in line with the belief of the first man to enter the Gym he was alive. (You do NOT survive a 45 magnum charge bullet to the soft pallet as it tends to stick much of ones skull to the roof!) – might the autopsy have shown he was shot with a Police round on a stretcher at the back of the gym as many believe? Where is clear publication of the surprising FACT that the CIA station commander, based in London, was one of the first people on the scene at Lockerbie? Where has it been made clear that they were able to provide clear evidence that a police officer removed a Rolex watch from one of the corpses and that every item of lugage was re constructed when found. Note also that the transistor radio which housed the bomb was reconstructed yet the fire proof deed box with evidence encriminating the New World Order opersatives around Bush in drug dealing was missing! Not one shred was found!! ”Queen Victoria in an open Landau Pissed over Westminster Bridge declaring it open2. The paper was soon recalled and the typesetter fired! Could it be meeeeja news management? Is there not a learned Latin phrase as to who guards the guards? Next Next post: #G163* – Robbie The PICT HAS A THEORY ON LOCKERBIE ….